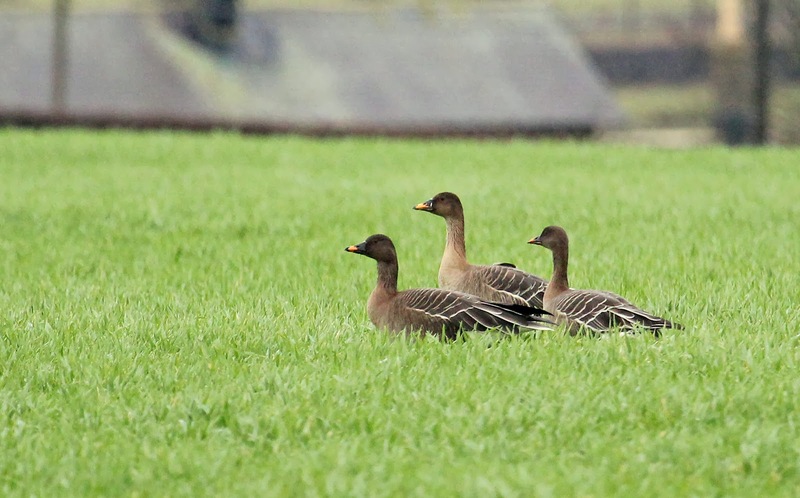 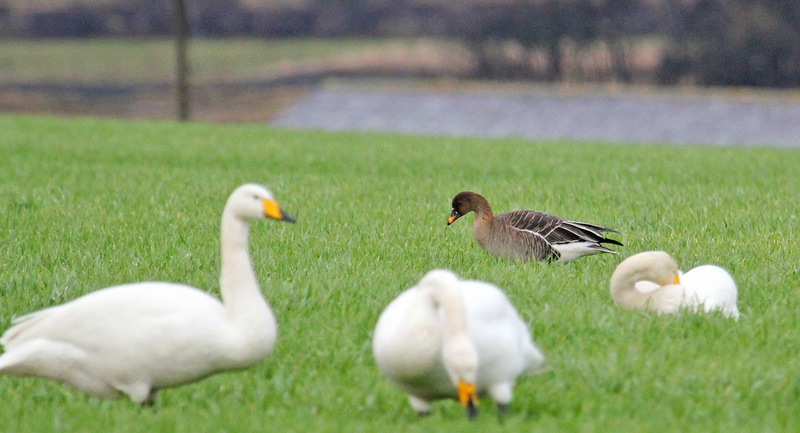 3 Tundra Bean Geese at Alnmouth were the highlight of an afternoon dodging showers. 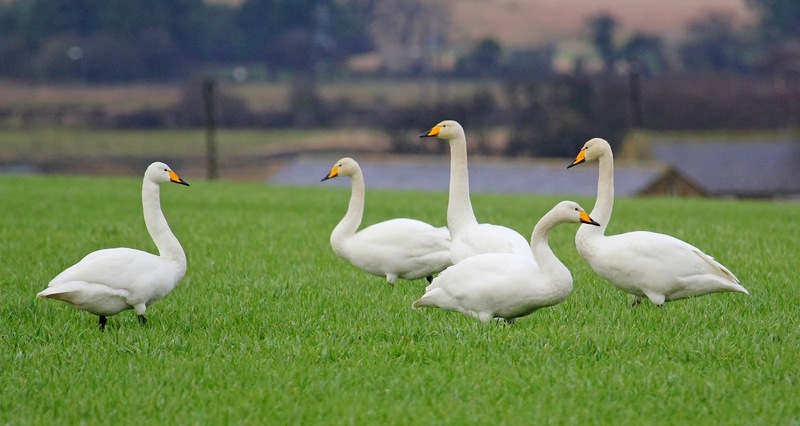 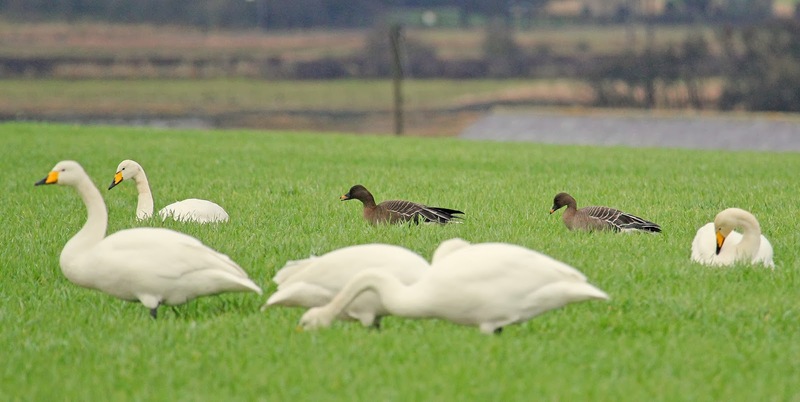 They showed well with Whooper Swans from the road down to the Alnmouth Dunes car park. 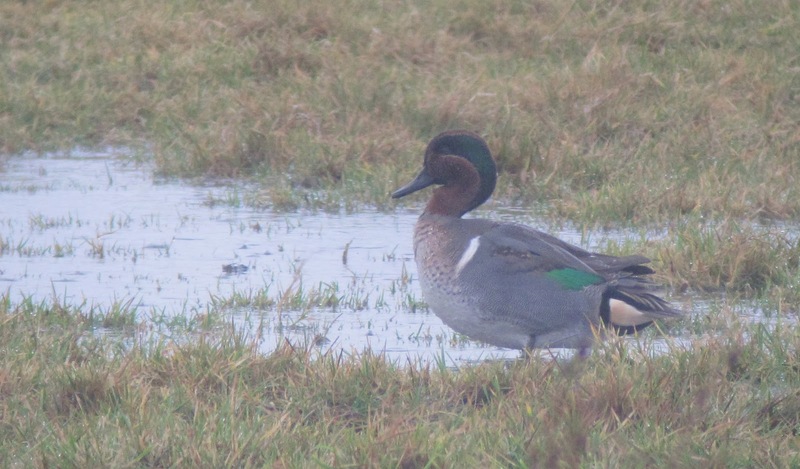 Other birds included a Merlin at Alnmouth, 4 Grey Plovers at Amble Braid and Slavonian Grebe, 3 Long-tailed Ducks, a female Common Scoter and Red-breasted Merganser at Chevington. 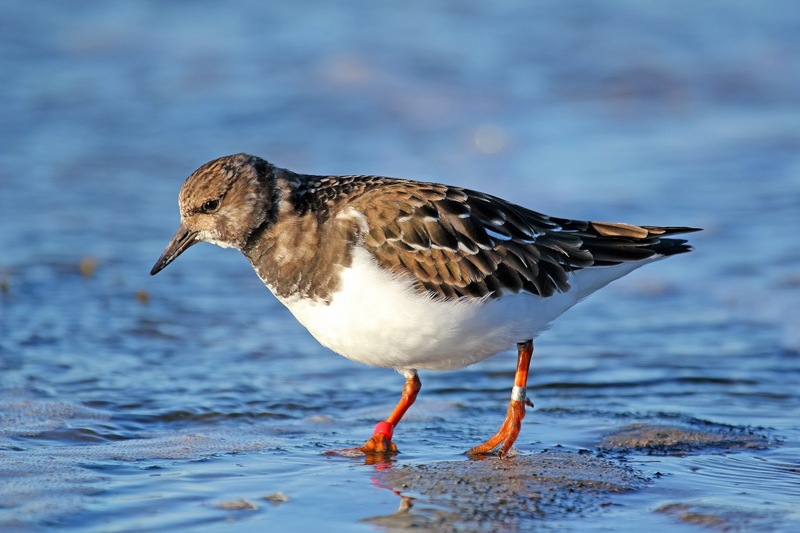 I had a morning unintentionally trying out the rain cover for my camera in Druridge Bay, though it was well worth it. 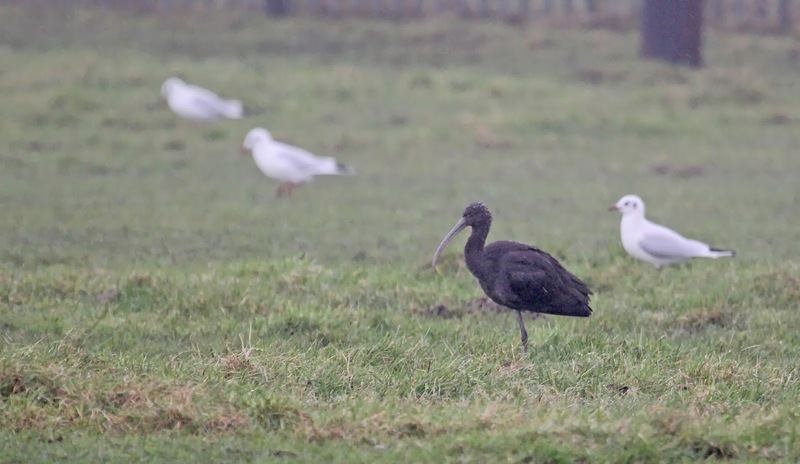 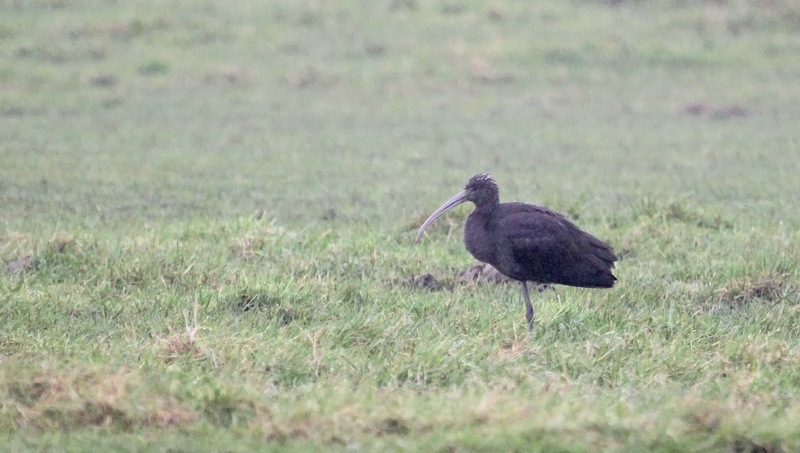 First to Lynemouth, where the Glossy Ibis showed distantly in the rain. 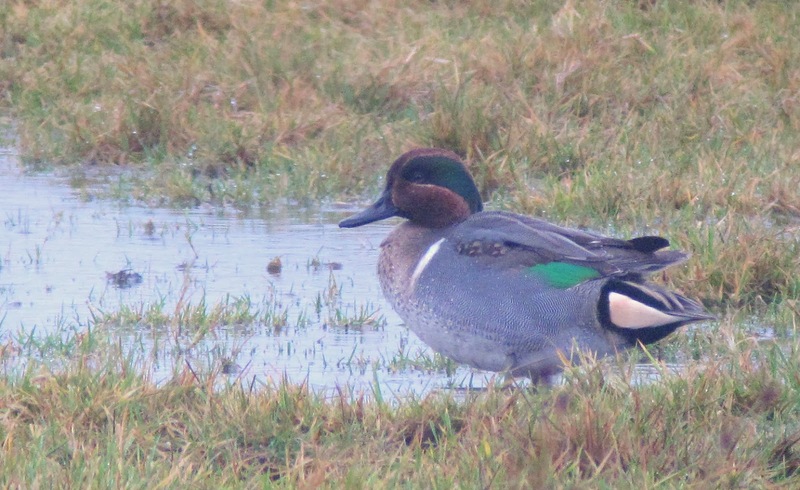 At Druridge Pools we got great views of the smart male Green-winged Teal as well as 2 Black-tailed Godwits and 3 Pintail. 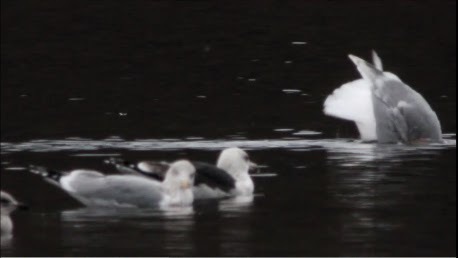 At Chevington a Slavonian Grebe was the highlight, and a female Common Scoter, female Red-breasted Merganser and 2 Whooper Swans were also on the North Pool. An 'Ermine' Stoat was a bit of a surprise on the roadside near Widdrington. 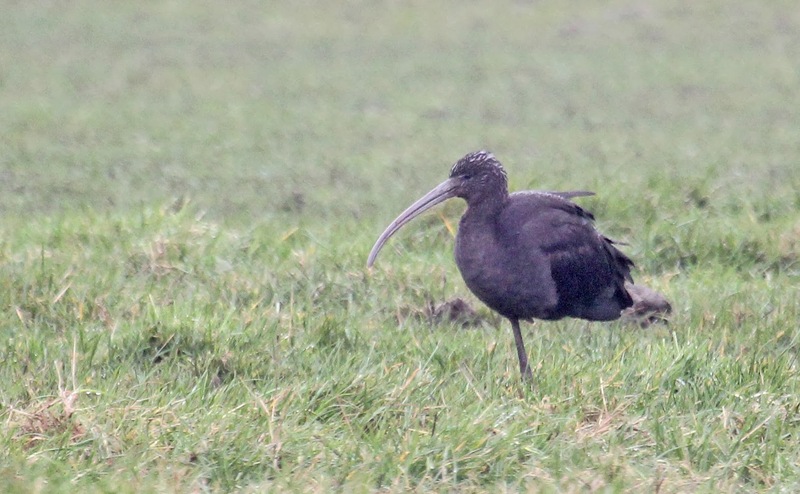 Another look at the Ibis on the way home gave much closer views in better weather. 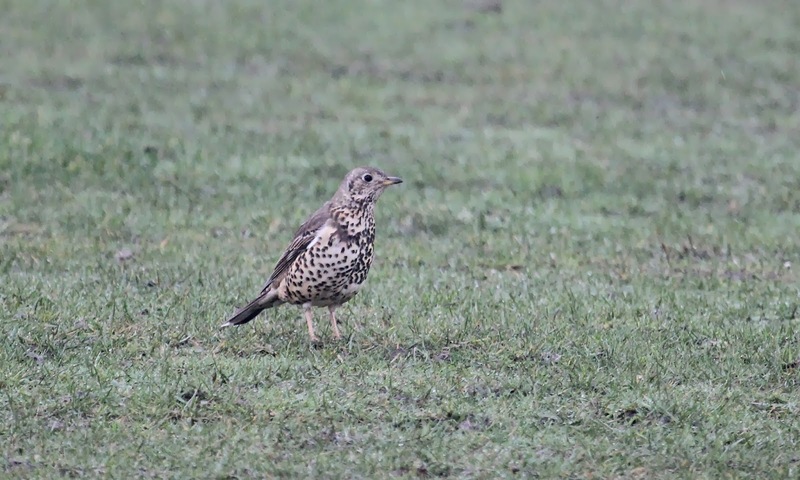 40+ Pink-footed Geese flew over and a few Fieldfare and Mistle Thrush were in the same field. 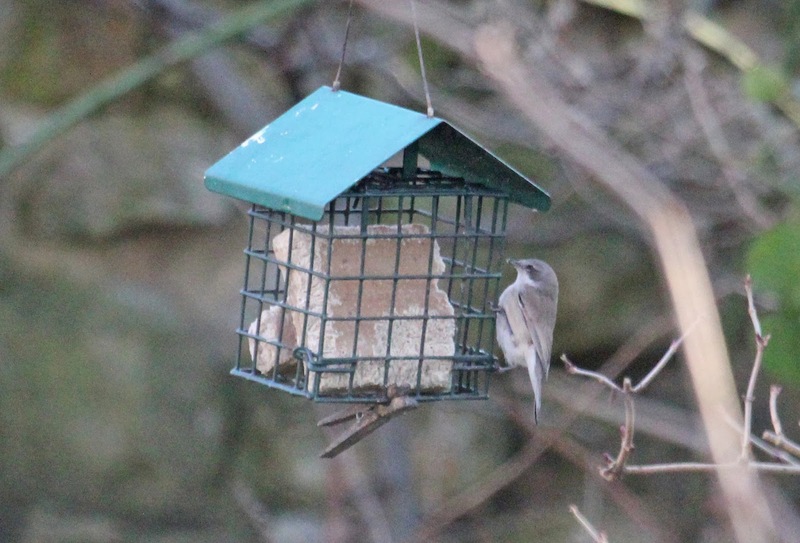 First off to Tynemouth to look for the Lesser Whitethroat ssp. 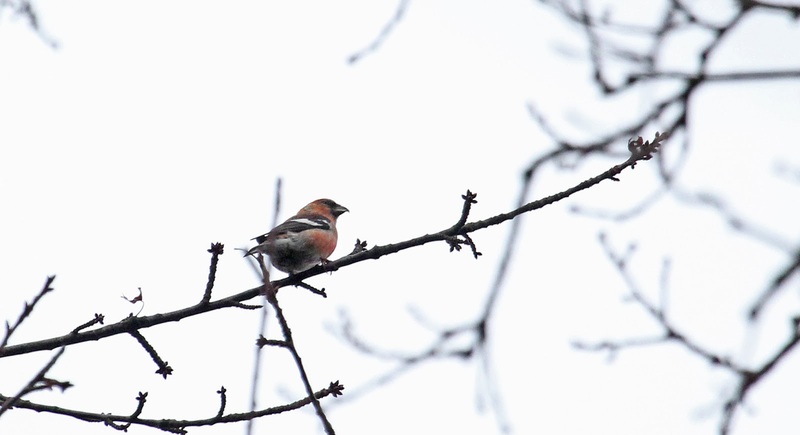 this morning. 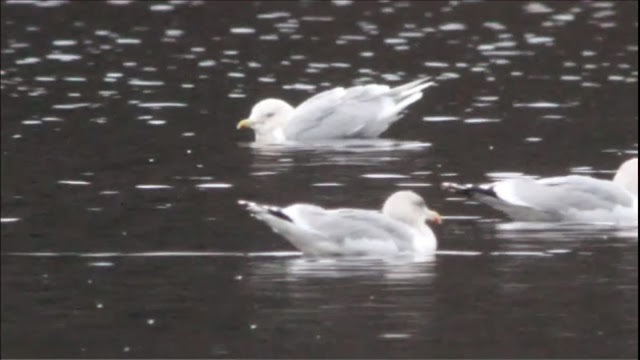 We didn't have to wait long before it showed up and continued to show well at times intermittently over the next hour. 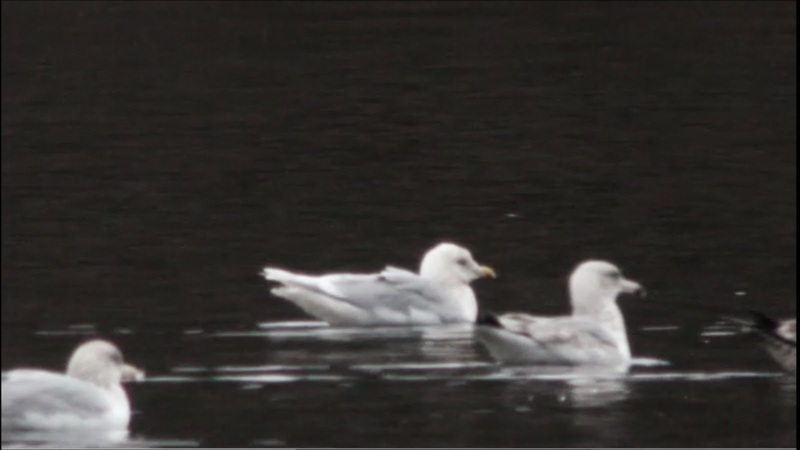 From what I've read I believe it to be of the race halimodendri. 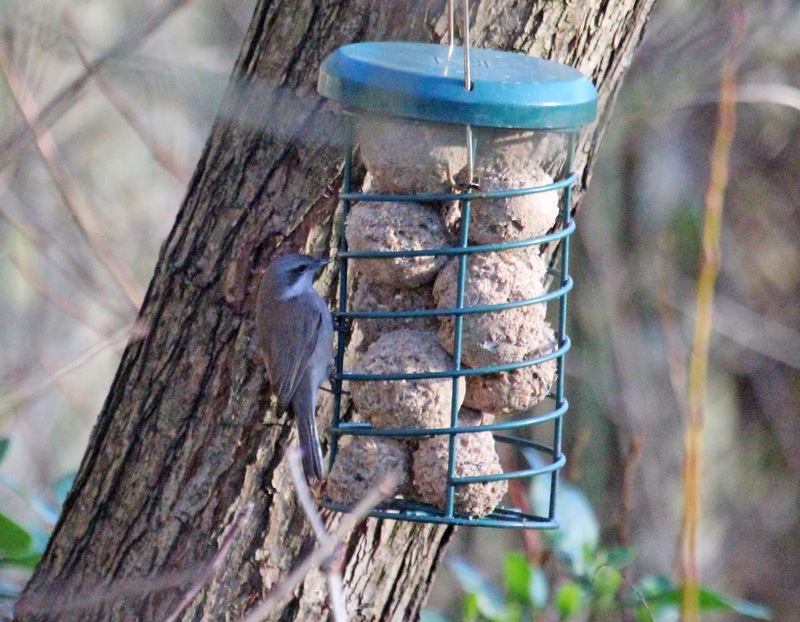 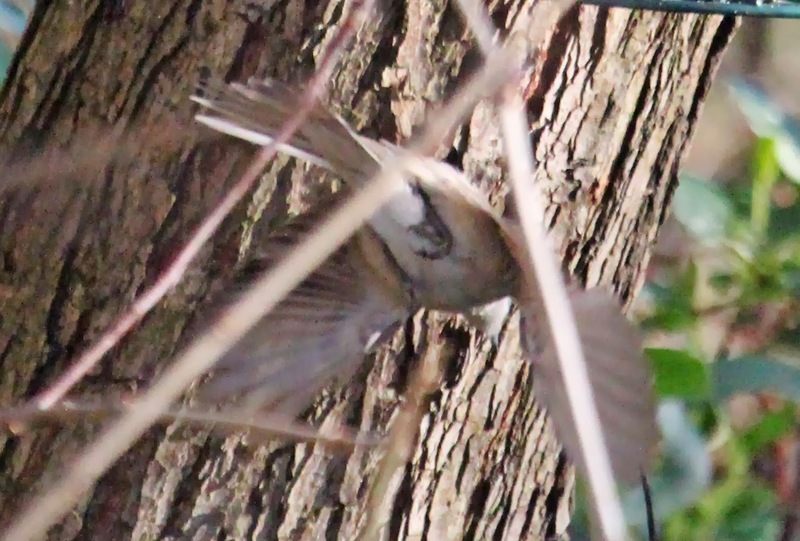 I also managed some photos that show a completely white t6 and a white tip to t5, one of the clinching features of halimondendri or Central Asian Lesser Whitethroat. 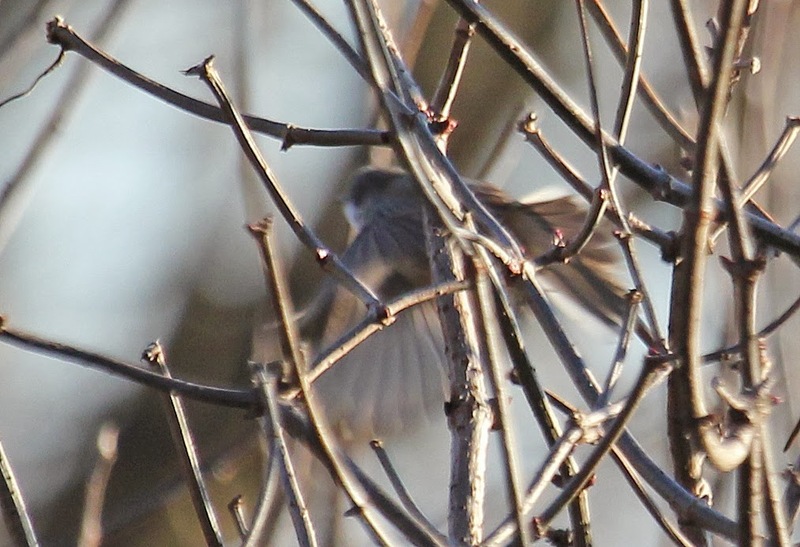 DNA has proved this bird to be of the race blythi or Siberian Lesser Whitethroat not halimondendri. 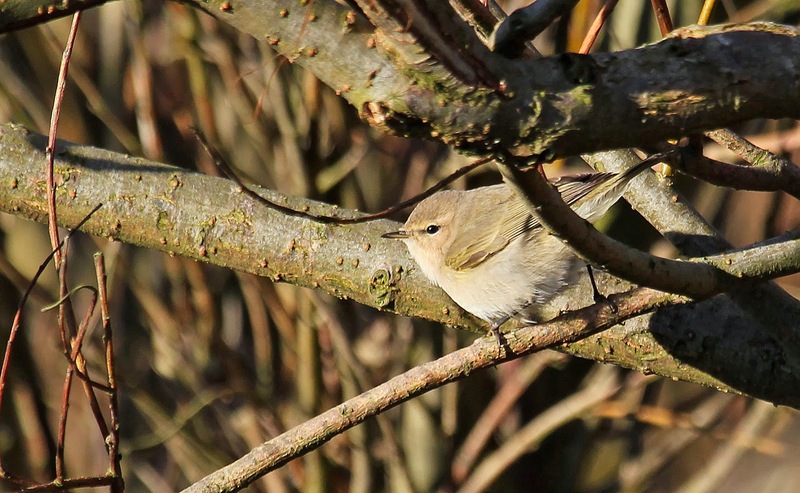 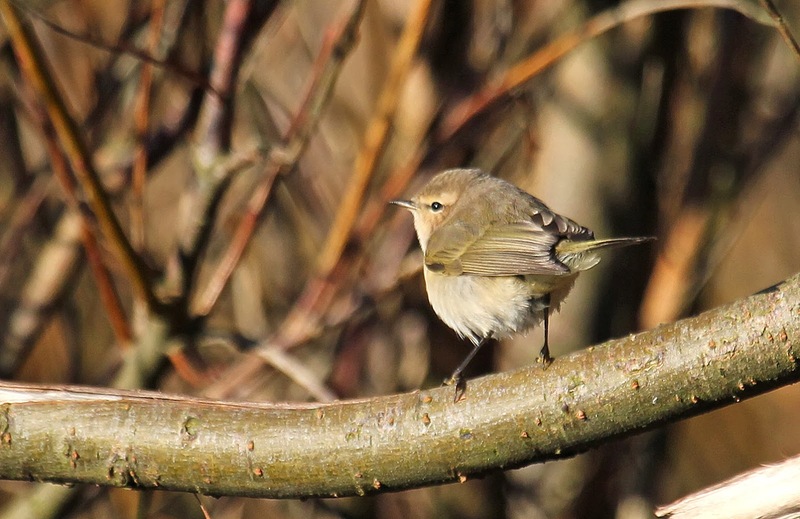 Next to St. Mary's Island to see if the Siberian Chiffchaff was still around. 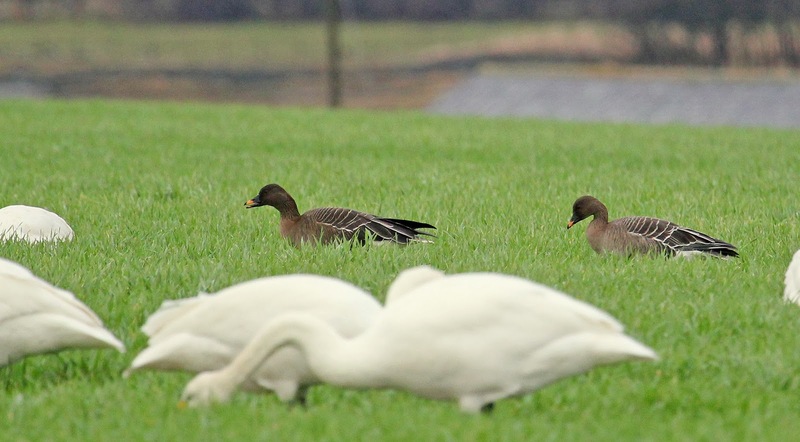 I wasn't expecting it to be, as it hadn't been reported for a few days. It was though and it showed very well for a few minutes, before completely disappearing. It was the first time I'd seen this subspecies. 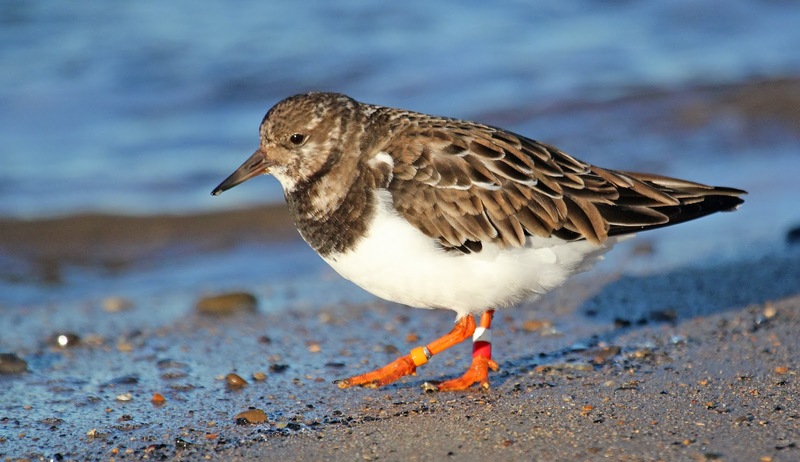 There were also two colour-ringed Turnstones on the beach. 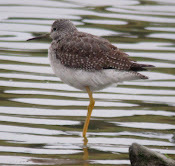 Last of all we went to Gosforth Park, where we saw at least 2 Bitterns as well as a Water Rail. 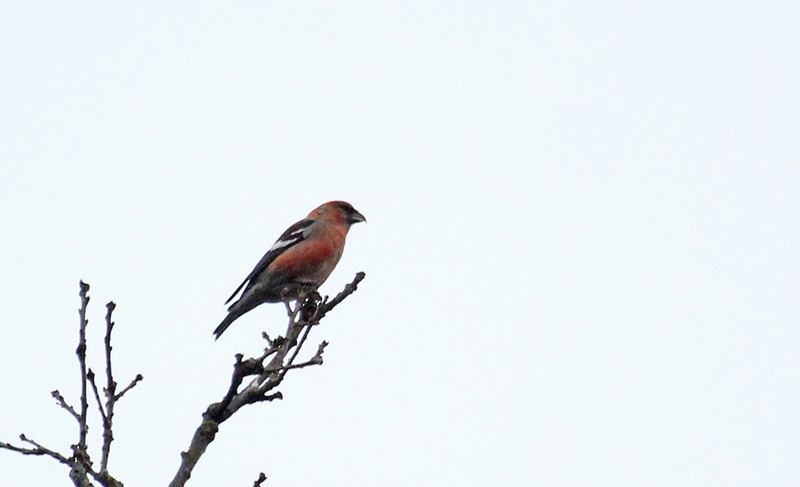 Yesterday I finally got the chance to see one of my most wanted birds - Two-barred Crossbill. It took a while to find Broomhead Reservoir in South Yorkshire, and even when we did there was a wait before we got on to some Two-barred Crossbills. 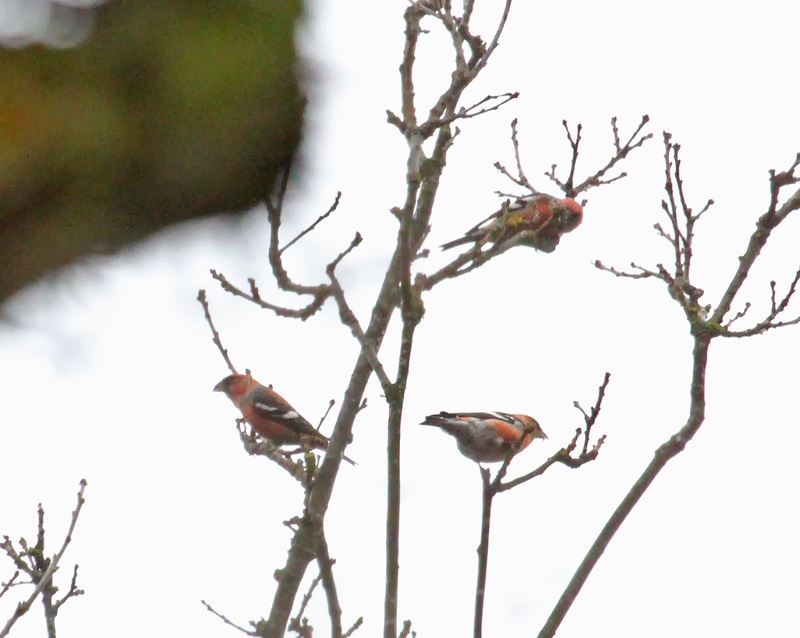 At first there was a flock of 7 birds, 5 males and a female. 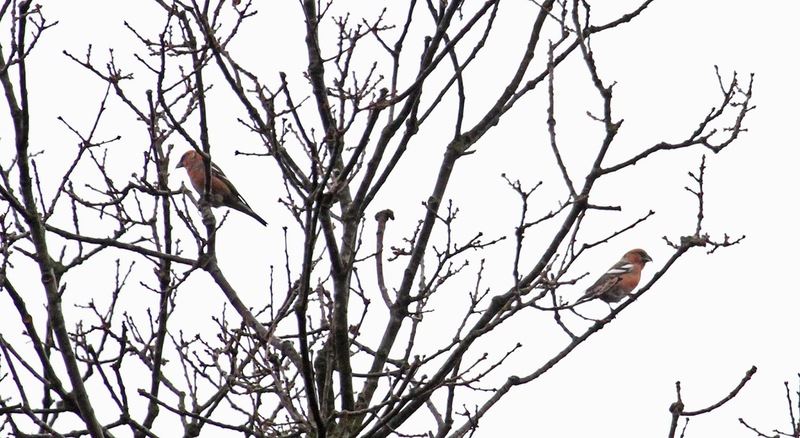 Later on in the day we saw some more Two-barred Crossbills (4) with a group of Common Crossbills, and they were quite likely different birds, though we can't be certain. 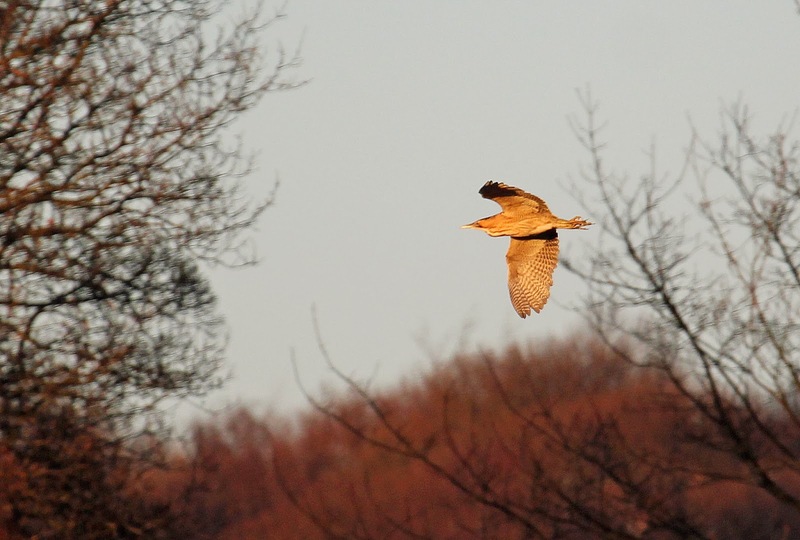 A Woodcock also flew over at one point. 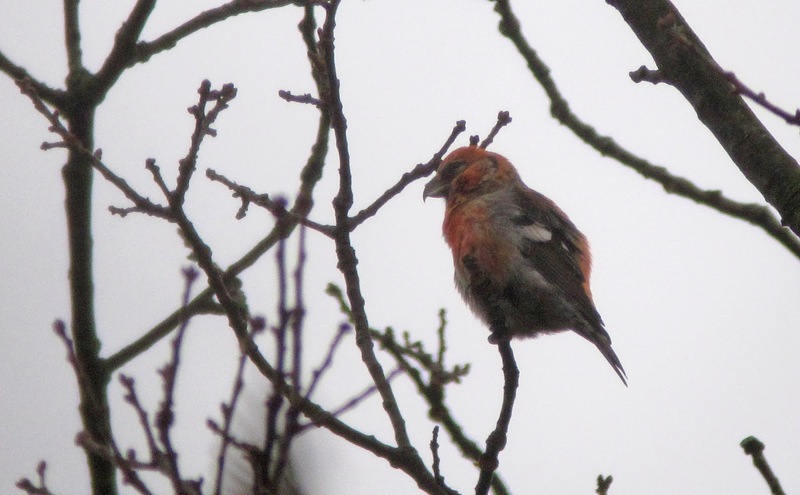 Looking back through my photos, I have also found a Parrot Crossbill candidate (see below), which comments would be very welcome on. A gull roost is also on the reservoir every night, an over the past few days an adult Kumlien's Gull had been reported. 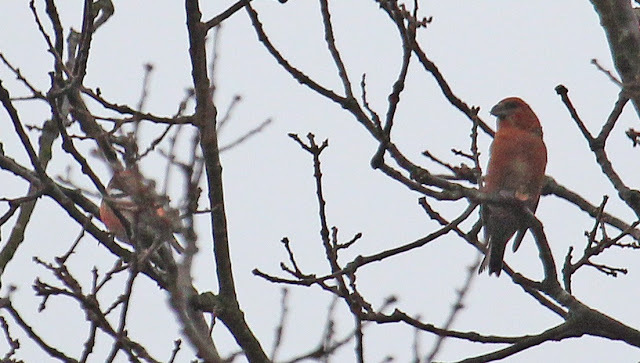 It wasn't long before it came in, and showed well for about 15 minutes, before being scared off by some shooting. 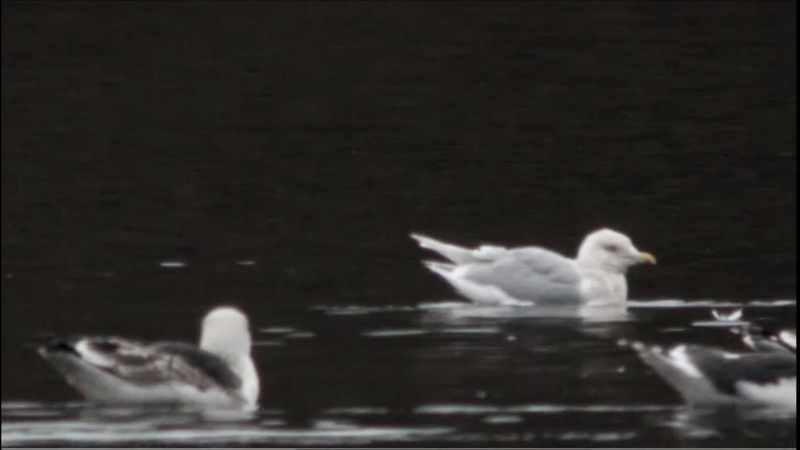 I also picked up a first-winter Kittiwake in the roost later on.